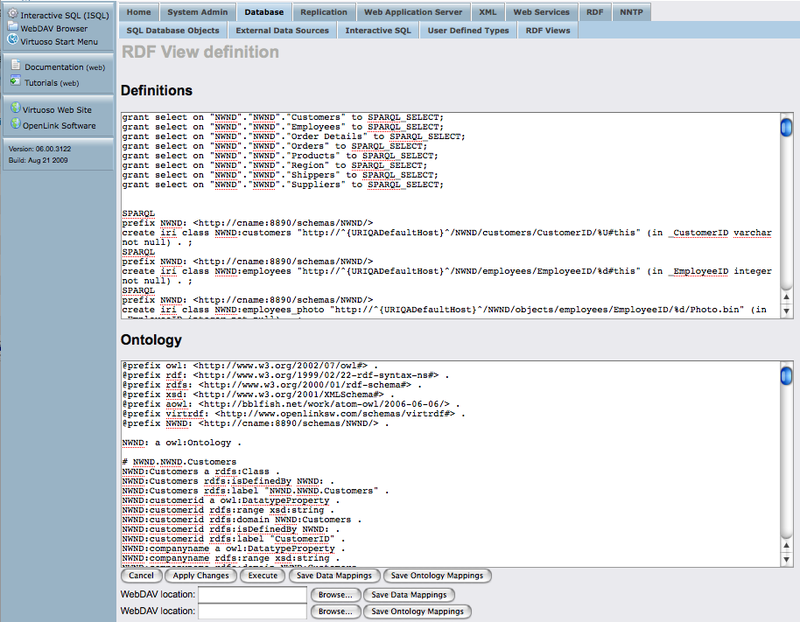 This document details the steps required for building RDF-based Linked Data views of schema objects in PostgreSQL data sources, using a sample Northwind database. 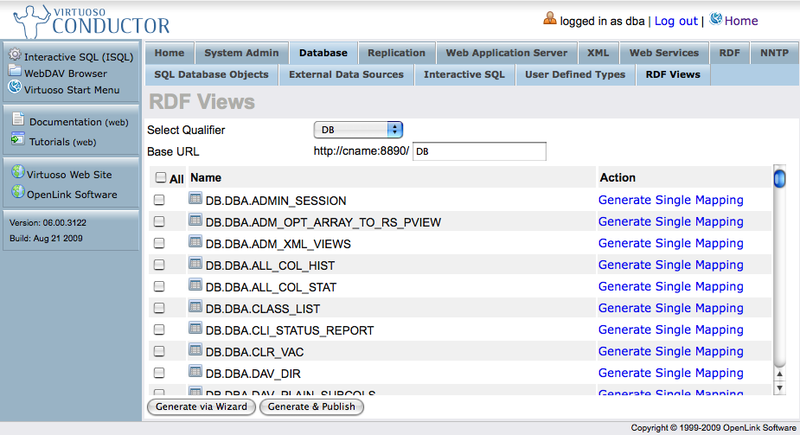 If not already done Link the PostgreSQL tables into OpenLink Virtuoso. 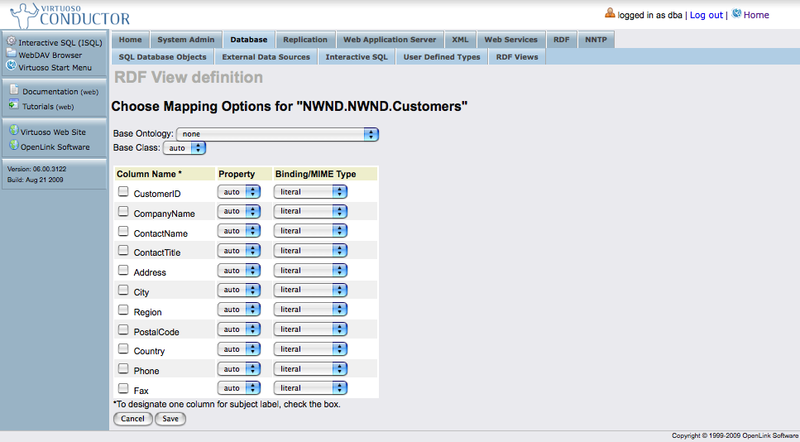 Select the Database Name Qualifier (e.g., "NWND") that exposes the Tables / Views for this exercise. Enter the Base URL to which your URL rewrite rules will be bound (e.g., http://<cname>:8890/NWND). 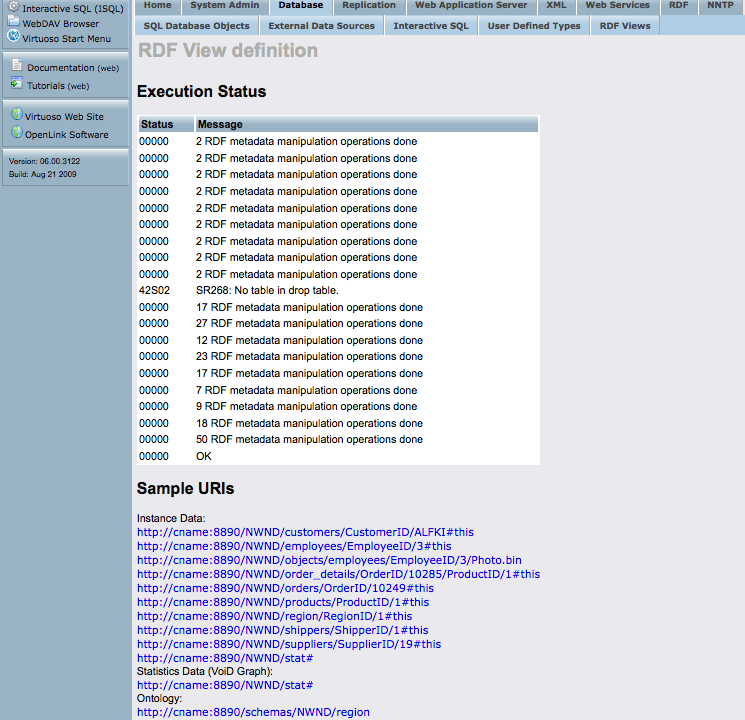 Choose Generate via Wizard to perform a custom generation and continue with Step 9 or choose Generate & Publish to perform a one click generation of the RDF Linked Data Views, in which case skip to Step 17. At this point, you are presented with the option to edit your column selection. 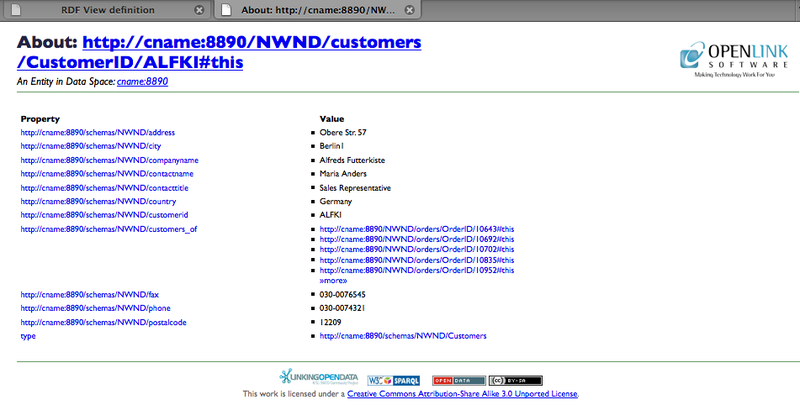 Select the "Edit" link, for example, for table NWND..Customers.